Read the Angelika Langer FAQ About Generics you will most likely find answers to all your questions there. The book The Java Programming Language 4th Edition contains a good chapter on the subject. And of course there is no better reference than the Java Language Specification which you can get for free. 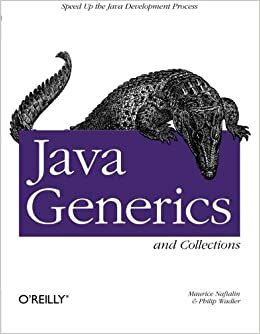 The book Java Generics and Collections is also a very good book on the subject if you really intend to go that deep. I found a PDF version of the book here. Unfortunately it only contains a few pages. They are entirely different constructs. A HashMap is an implementation of Map. A Map maps keys to values. The key look up occurs using the hash. On the other hand, a HashSet is an implementation of Set. A Set is designed to match the mathematical model of a set. A HashSet does use a HashMap to back its implementation, as you noted. However, it implements an entirely different interface. When you are looking for what will be the best Collection for your purposes, this Tutorial is a good starting place. If you truly want to know what's going on, there's a book for that, too.